Learning how to become a private mortgage investor means learning how to offer hard money loans. You do not have to have a special license to become a private mortgage investor, but you do have to understand the business, risks, and potential rewards involved. You also must meet any local or state requirements for operating this type of business. A private mortgage investor is a person or business lending to those who may otherwise not qualify for a traditional mortgage. This type of investor, often called a hard money lender, provides funds to purchase real estate at a significantly higher interest rate than what many banks or other financial institutions charge. This higher cost is sometimes considered acceptable since the borrower is a higher risk. Loan terms are often shorter than traditional mortgage loans. Although you do not need to obtain a license to be a private lender, you should have substantial experience in the real estate industry, such as working as a real estate agent or broker or within the commercial banking sector. Private lending can be very risky and should be approached with caution. The first step in operating as an investor is to establish a limited liability corporation or LLC. This ensures the private mortgage investing is a standalone business. It helps to protect your personal assets from your business assets. It may also be beneficial to hire an attorney to help you through the process of legally establishing your business. Work with an attorney to determine which local laws and guidelines you must follow. In a private mortgage lending business, it may be necessary to abide by any limitations on interest rates the county or state imposes on lenders. You may need to have specific contract language included on all of the transaction documents as well. In some areas, you must take specific steps when evaluating a potential borrower for a loan. While you do need to have money to lend, you must ensure you are legally providing those funds to borrowers. One of the initial steps to take is to ensure you have access to money to lend. 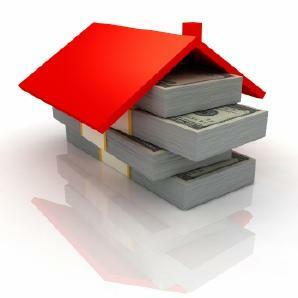 Some private mortgage lenders lend money in the lender's savings account. This places significant risk on the lender, but it allows for the most return on the investment. Another way to get access to these funds is to work with a group of investors. Raising the capital to invest is sometimes a difficult process, but it is critical before you begin to market your business. Once you have your business established and access to money, the next step is to determine the criteria you will require from borrowers. Evaluating an individual's ability to repay the borrowed funds is critical. As a business, you can obtain an account with each of the three credit reporting agencies and use the information from the potential borrower's credit report to make a decision. Many investors, though, use the value of the property as the determining factor in whether the investor will lend. Lenders create secured loans. If the borrower defaults on the loan, the lender can foreclose on the loan and take possession of the property. As you learn how to become a private mortgage investor, it makes sense to consider marketing. In this industry, soft marketing methods such as word of mouth may work. You can also establish a website to market your business. Consider partnering with a mortgage broker who specializes in helping borrowers who cannot qualify for traditional mortgage loans. Once you have potential clients to lend to, work with an attorney to develop a contract that provides agreeable terms to all parties. These contracts should reduce the lender's risk of losing money by ensuring the right to foreclose on the loan. The contract should also provide specific details about payment amounts and timelines for repayment and it should include consequences for nonpayment. These contracts must conform to local and state guidelines as well. Having an attorney on retainer is often an important investment for the private mortgage investor.